Drino Miller was a remarkable pioneer in off-road racing. He built the Baja Boot for Steve McQueen. He worked for TRD and Pro-Circuit. Along the way, he also created the first single-seat VW-based baja buggy. 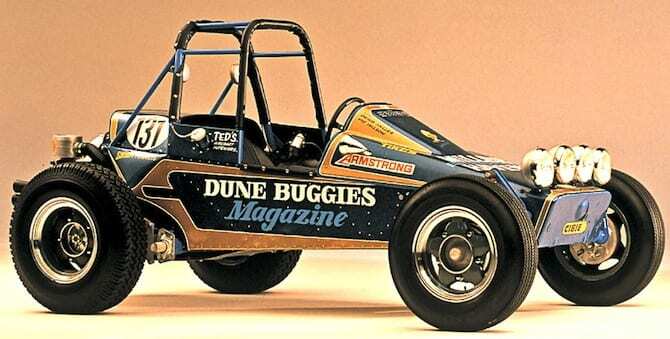 To my eyes, this will forever be the most perfect off-road vehicle: the simple lines, the short wheelbase, the simplicity of the dual-loop roll cage—this is what every vintage go-kart wanted to be when it grew up.